On Friday 22nd September, Ascot Care was a proud sponsor of the 6th charity golf day in aid of MNDA at the Wilton Golf Club in Redcar, hosted by Jon Hinchliffe. Motor Neurone Disease affects the nerves in the brain and spinal cord that sends messages to the muscles, causing them to weaken and stiffen. The golf day helped raise funds for the Cleveland branch of Butterwick Hospice, close to Ascot Care’s head office. The money raised will go towards Therapeutic treatments for both suffers and carers in Stockton, available every Friday. Yesterday, the Commonwealth paid tribute to the fallen soldiers of Passchendaele on the centenary of the day the battle started. At the special ceremony held at Tyne Cot cemetery in Belgium, Prince Charles, along with the Duke and Duchess of Cambridge and Prime Minister Theresa May, lead the nationwide tributes to the 320,000 Allied forces lost during the 3 month long battle that ended in November 1917. The service saw poignant letters and stories read out of the soldiers who bravely fought, which brought home the true courage of all those who have served in the military back then and today. Ascot Care and our incredible team members want to also reiterate the tribute to those lost during Passchendaele and add our own appreciation and gratitude by continuing to support military charities and helping military veterans in any way we can. For several years now, we have been supporting and helping raise money for military charities, including 1820 Foundation who focus on helping ex-military personnel and their families financially, and Hire a Hero who help ex-military personnel move into employment, training, housing and care. Our ever popular Charity Golf Day is just one of the events we hold to raise awareness and funds and will be returning soon to Close House in Newcastle. We are very honoured to be fully committed to supporting The Armed Forces Covenant, a pledge from ourselves as a company and our team members within it to treat those who serve or have previously served in the military along with their families with fairness and respect. Recently, Ascot Care has begun work with two forces support officers and are helping them to get in touch with veterans born prior to 1950 (67 years of age and above) who may not know they are eligible to veteran badges, medal entitlement, as well as recognition and thanks. For their work in the military. The support officers are also looking to help families to receive full-service records of loved ones who have previously served so they can celebrate and appreciate their courageous military careers. Armed Forces Day is back on Saturday 24th June where we all show our support for the men and women who are part of the Armed Forces community. With celebrations taking place throughout the UK, the day welcomes everyone to show their appreciation for those currently current serving to veterans, cadets and Service families. Starting on Monday 19th June, when the Armed Forces Day flag will be raised on buildings and landmarks around the country, there are so many opportunities to get involved including special events in town, city centres and within local communities. Take a look at the handy map here to see what is happening close to you. At Ascot Care, we have been continually supporting two fantastic charities which raise awareness and funds for military personnel transitioning into civilian life. 1820 Foundation lays focus on supporting ex-Armed Forces struggling with personal or social issues, as well as helping children and families who have lost family members during the course of military service. 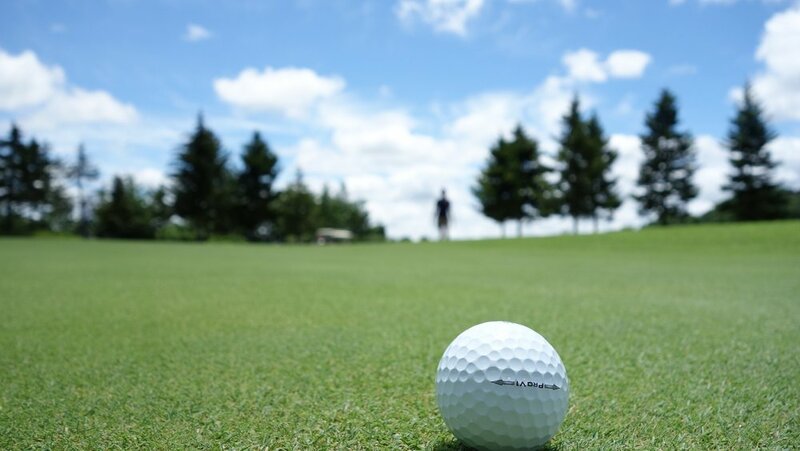 With a range of events hosted by the charity, from sports and endurance challenges to social and fun events, there are plenty of ways to actively take part in helping build awareness for the 1820 Foundation, including our bi-annual Charity Golf Day. Another of the charities we support is Hire A Hero who assist ex-military personnel in moving into employment, training, housing and care. They work in partnership with public, private and third sector organisations to provide a network of support to lead service leavers to appropriate resources. Ascot Care is a platinum sponsor of the Hire a Hero Gorillas, a rugby club used to promote the charity and raise awareness and funds. Our staff participate in events and also volunteer their time out of office to help raise awareness and funds for Hire a Hero as well as the 1820 Foundation and will continue to do so in order to demonstrate our support of the military. Showing your support on Armed Forces Day helps boost moral for the troops and their families. Click here to find out more on how you can help support and celebrate. Our charity golf day was back and took centre stage last week on Friday 26th May, with golfing teams helping raise funds for military charities and dementia services. This was our fourth annual golf day and was hosted in Newcastle at Close House in Heddon-on-the-Wall. 15 local golf teams joined for a good game across the 18 hole course, with picturesque views across River Tyne Valley. For the daring golfers, there was a prize of £10k, providing by us at Ascot Care, for anyone who could get a hole-in-one - but sadly, it wasn’t won. Maybe next time. The winning team of the day consisted of Paul Mackings, Ritchie Thirkel and Daniel Heckles, who won British Master’s Polo shirts to wear on the course, a set of golf balls to match and corporate hospitality at a Newcastle Falcon’s game next season. Other competitions on the day were the ‘Longest Drive’ and ‘Nearest to the Pin’, both won by Paul Cooper who won a golf polo shirt and a set of golf balls. But the real winners of the day were the charities we were raising money for to support ex-military personnel and those suffering from dementia. Due to the huge success of the previous Golf Days, we are planning on hosting our next golf day this September, and turning this day into a bi-annual event. A very big congratulations goes out to all the winners of the Golf Day and to those who joined in and supported us. We hope to see you all again in September. Remembrance Sunday, which falls on 13 November in 2016, is a day for the nation to remember and honour those who have sacrificed themselves to secure and protect our freedom. Ascot Care would just like to say a huge thank you to all our veterans and current soldiers. We wholeheartedly appreciate all you do for this country.